Update ID tags: Prior to your move, it is important to update all of your pet’s ID info. Making sure your pet is armed with a secure collar with the correct contact information. Be sure to list your cell phone info so you may be contacted immediately during the moving process. Crate Train: If your pet isn’t already crate trained, it would be wise to begin the process of introducing him/her to a crate. This will help come moving day to keep the animal in a comfortable and controlled environment amidst all of the chaos. Crates are also great for travel as it keeps your pet in a safe, enclosed environment. Have Accessible Food /Medications: While traveling and settling into your new home, it is easy for items such as pet foods and medications to get lost amongst the large array of moving boxes. Be sure to have fresh food, water, and any necessary medications on hand to keep your pet happy and healthy during the process. 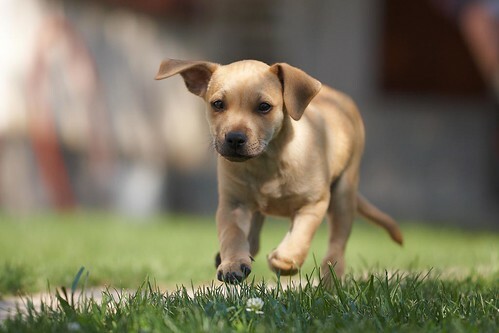 Take Breaks: If your move involves a lengthy car ride/long travel time, it is important to remember to take breaks so that your pup can frequently stretch it’s legs and use the bathroom. Be sure to keep your pets leashed during potty breaks as stress from the move can cause even the most obedient dog to run away. At each stop, make sure to give your animal fresh water as well. Call Ahead: If your move requires you to seek overnight lodging, make sure to call hotels ahead of time to ensure that they are pet friendly. Visit www.pet-friendly-hotels.net/ for a list of pet friendly hotels in your area. ← Happy Anniversary Parade of Homes!